Home / Celebrities Gist / Photo: Bobrisky Is At It Again, Flaunts New braided Hairstyle and Crop Top! Photo: Bobrisky Is At It Again, Flaunts New braided Hairstyle and Crop Top! 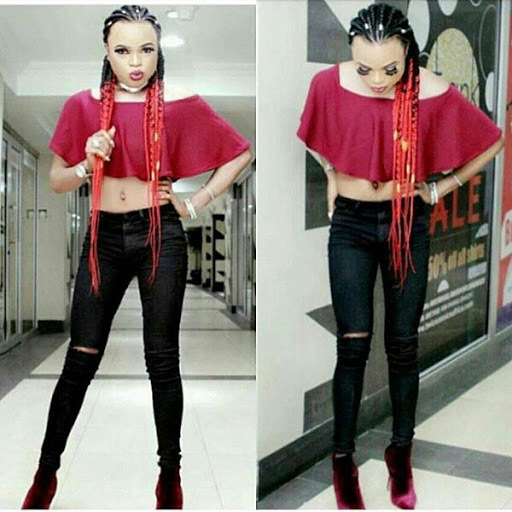 Nigerian male Barbie, Bobrisky, has once again changed his appearance, this time around to a braided Ghana weaving hairstyle with long red tips which he flaunted on his social media account with a red crop top revealing his flat stomach and a red heels. What do you think guys? Kool or not kool?